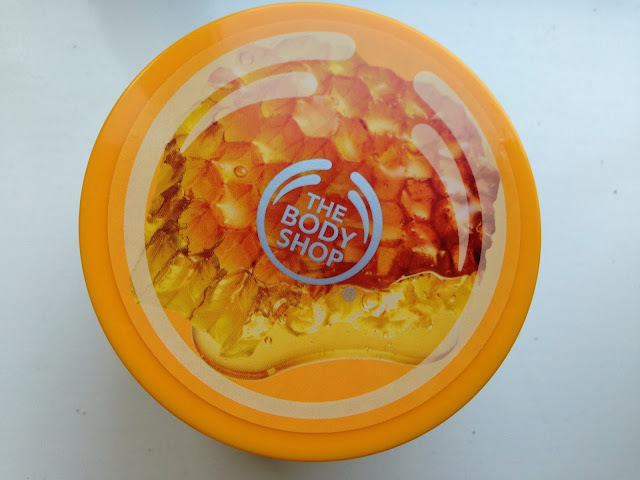 I mentioned that I attended The Body Shop Christmas event last week, during the event we received a whopping 40% off so of course I couldn't resist picking up a few items. 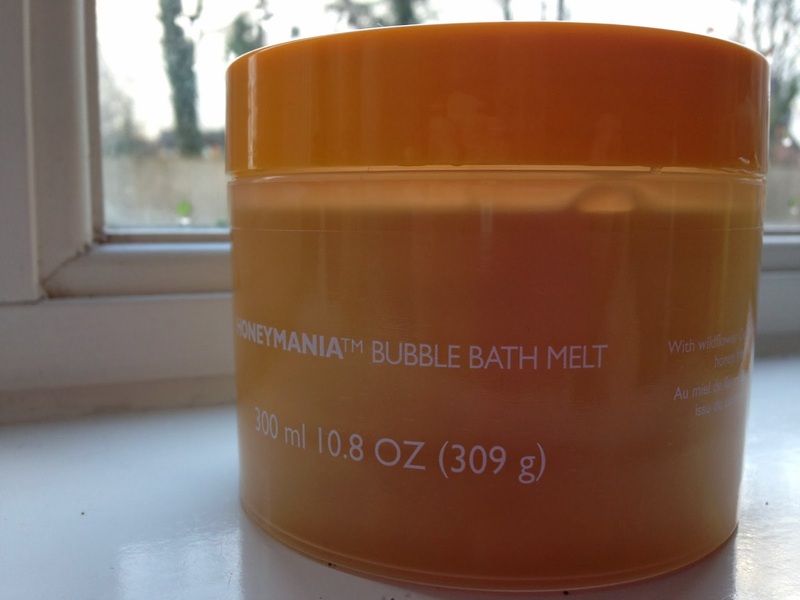 I've been completely obsessed with the Honey Mania range since it arrived on our shelves earlier this year. The scent is so gorgeous, it's sweet and yummy and I've been besotted since I first ever smelt it. 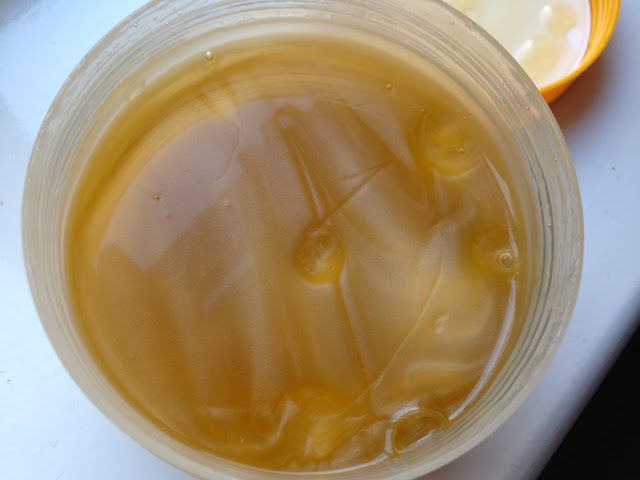 Up until now I've swooned over the Honey Mania Bath Melt, but with the discount I knew it had to be mine. The Bath Melt only cost me a tiny £4.80 (RRP £8) so how could I say no? The only way I can describe the texture of this product, is it's consistency is VERY much like honey. It's really thick and gooey, but in the best way possible. I was worried it was just going to be a 'fancy' bubble bath, but it's much thicker and feels far more luxurious than any regular bubble bath I've tried. I only used the tiniest bit and my bath tub is filled with a mountain of gorgeous smelling bubbles. The bath melt leaves my skin super soft and the smell lingers for a hours after, leaving my bathroom smelling amazing.This is definitely my new favourite bath time treat. That looks lovely! Almost edible!! Thanks for the link via Twitter! Look forward to reading more! Nice review post! It looks pretty great, and can't wait to see more from you!